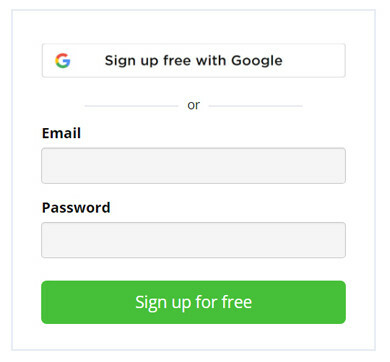 Sign up by selecting your Account Type, completing Express Setup or signing up from the Pricing Guide. If you are joining a team but not creating one, you will still need to sign up as a Team user. If you are a Pro user and wish to join a team or create a team, you will need to upgrade to a Team user.